In the first part we spoke about competitive pressures and customer demands as two major challenges for leaders in the digital age. Now, let’s take a look at new business models on the rise, a modern company’s responsibility in a cultural context and the resulting need for a holistic approach to leadership. The digital age has brought about new ways to conduct business. The internet and ubiquitous smartphones have opened up new customer channels. They have also opened up completely new ways of doing business, with some companies being internet only. These new business models can be extremely lucrative thanks to the scaling power of the internet. But for companies who aren’t able to harness its potential, it can mean extinction. Let’s take a look at the most popular new business models: Sharing economies, x-as-a-service, data-centered businesses, ecosystems and decentralized organizations. The description of ‘sharing economy’ isn’t completely accurate, but generally refers to the use of products or services without any ownership on the customers part. For instance, AirBnB allows locals to rent out their houses to travellers which helps experience the culture better when travelling. RelayRides is another example that allows people to rent out their cars to others. These platforms have been powered by the matchmaking potential of the internet, combined with the accessibility and distribution of smartphones. If you are in the hotel or car businesses, these new models pose a threat to your margins. In order to be competitive, new strategies such as delivering tailored customer experiences and aspirational branding are necessary. Similar to the sharing economy, B2B providers are becoming vendors of technology which they lease out for a monthly fee. This means that companies no longer have to invest money into building out technologies from scratch. Instead, they can just pick and choose what they want and assemble it like Lego. Companies are always looking for ways to make better decisions. When it comes to important decisions like whether to launch a new product, guessing is never a good idea. As it stands, 85% of companies are trying to be more data driven, but only 37% are succeeding. Being data-driven is one of the best ways to make better decisions. This is why data has become one of the most valuable commodities in the digital age. Some companies like Facebook have built their business model around the data they collect. The fact that they know everything about us is valuable to marketing leaders who want to hyper-target their products. Other companies like Crunchbase act as aggregates of data which they package and sell. In certain industries, there are opportunities for key players to own the whole ecosystem. This isn’t achieved through pure financial and political power like in the previous century. Instead, it’s more about familiarity of service and ease of accessibility. An example of this is Amazon and what they did to the book publishing industry. Leveraging their success as a book retailer, they branched out into e-readers and even starting their own publishing arm. Having this monopolistic level of power has given them leverage over publishing incumbents who were slow to adapt to this change. The changing ways in which we think also plays a part in the development of digital business models. Take the blockchain for instance. The technology and concept behind it is impressive. But it is the idea of decentralized ownership and cutting out the middleman which gives it strong commercial potential. With growing distrust in government and big business around the world, the demand for more transparent and fairer business models is being met by the blockchain. And investors are lining up to back these new models. As of May, $1.3 billion was invested in blockchain companies by Venture Capitalists. This doesn’t include the billions poured in by crowdfunding. We have already talked about how digital platforms such as social media have given the average person a voice. Often, customers will use these platforms to voice their support or frustration with a brand. But it’s not just about customer service. It’s also about corporate social responsibility. Social platforms such as Twitter and Facebook have given people the ability to start social movements and vote with their dollar. For instance, there have been movements to boycott brands that are run by people who may have controversial beliefs. An example would be the conflict between religious business people and the LGBT community. Similarly, businesses who are politically aligned with controversial issues such as gun ownership or immigration are often in the firing line from both sides. The key takeaway? Businesses in the digital age are no longer faceless entities. There is increasing pressure for businesses to ‘take a stand’ on certain issues. Particularly that which is seen as human rights, of political nature, and environmental sustainability. A current example of a company taking a political position can be seen through Nike’s appointment of Colin Kaepernick as the brand face of their slogan, ‘Just Do It.’ For those not in the know, Colin Kaepernick is a NFL player who startet the U.S. national anthem protests by keeling for the national anthem during an American football game in 2016. This was done to protest what he viewed as systematic oppression of different groups in the country, fuelled by the then inflamed media coverage of excessive police force. The protest continues to divide the country. But Nike’s recent appointment of Kaepernick as the ambassador for one of their campaigns has sparked outrage on social media. Since the release of the campaign last week, people across the US can be seen burning their Nike sportswear in protest against the company. In their eyes, Kaepernick’s refusal to kneel for the anthem was a sign of disrespect. And Nike endorsing him puts the company in the category of the ‘other’, politically speaking. As a business leader, navigating this cultural landscape can be difficult. Where do you draw the line between strong personal beliefs, being socially responsible and maximizing the return for shareholders? That’s something every leader will have to figure out as culture and politics become more polarized. But your greatest challenge in the digital age is becoming a multi-faceted leader. As competition increases and technology continues to disrupt, only the best leaders will thrive and continue to exceed value to shareholders and customers. How do entrepreneurs achieve this? For a start, the idea of a sales focused or technical focused CEO has had it’s time. We’re moving to an era where business leaders need to be able to wear multiple hats and see through different perspectives. This means your perspective needs to cover sales, marketing, people, product, technology and service. If you as a leader aren’t curious and diving into all functions of your business then you will miss out on opportunities for growth. This is why I advocate for executive coaching and business networks simply because the stakes are high. The challenges we discussed in this series are just the tip of the iceberg but can still prove to be fatal. In the digital age, what worked 10 years ago, or even 5 years ago, may not work today. And although you may be in a comfortable position now, that can all change in the next few years. The best course of action is to be prepared and tackle the challenges before they affect you. 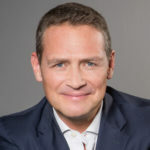 Stefan Beiten is a lawyer, international entrepreneur and investor from Berlin. With more than 20 years of experience, Stefan is an expert in building, scaling and managing successful businesses.